FOR Café France coach Egay Macaraya, Maverick Ahanmisi is one underrated player who can do well for any PBA team that will draft the former Minnesota standout. The 23-year-old Ahanmisi is one of the Fil-Americans who recently applied for the PBA Rookie Draft. He is coming off an impressive performance where he helped guide Café France to its first ever PBA D-League championship by ruling the Foundation Cup. Macaraya is obviously very high on Ahanmisi, a two-way guard whose style of play is already being compared to some PBA players, among them Ryan Reyes of Talk 'N Text. “Si Maverick, very underrated ‘yung mga write-ups sa kanya. Pero kung tutuusin mo, hindi lang siya magaling sa three-points, he is also a reliable defensive guard,” Macaraya told Spin.ph on Thursday. “He has the making of a Ryan Reyes at marami pa,” the D-League champion coach added. The 6-foot-2 Ahanmisi led the Bakers in scoring during the elimination round with an average of 13.9 points, while also contributing 6.8 rebounds, and 4.0 assists. Defensively, he ranked fourth in the conference with 1.7 steals per outing. He took his act to the PBA D-League after playing for the Minnesota Golden Gophers under Rick Pitino’s son Richard in the NCAA Division 1. Macaraya said he won’t be surprised if Ahanmisi gets drafted high. “Kung titignan mo ‘yung draft, ang problema is it’s all about ‘yung nakikita nila sa NCAA and UAAP. Buti kung nakita nila maglaro si Maverick sa D-League kung gaano siya kagaling dumepensa,” said the Café France mentor. “Even a guy like (Chris) Newsome, siya pa rin ang nagdedepensa. Rugged siya on defense tapos may tira pa sa labas. Sa tingin ko sa first round, surprise pick si Maverick sa akin,” he added. Macaraya said he also likes the attitude of Ahanmisi, who he believes adjusted very well from playing shooting guard to point guard. “Ang pinaka-asset talaga niya is he is very coachable and hardworking. Kapag nakita mo siya sa practice, he is the first to come and the last to leave. Attitude-wise, Maverick is a very potential player for the PBA. Coaching-wise, kailangang maintindihan nila na magagamit nila si Maverick sa offense and defense,” said Macaraya. For his part, Ahanmisi said he is simply hoping for the best, but believes having won a D-League championship with Café France on his resume will help boosts his stock in the August 23 draft. “I’m going to enter the draft this year. Hopefully, things go well. I’m just happy for this team and happy for whatever happens next. It’s in God’s hands,” said Ahanmisi. 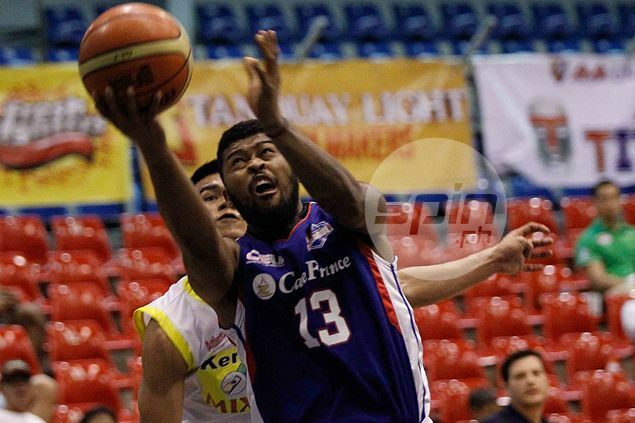 Ahanmisi said he is also thankful for the opportunity of playing for the Bakers in his first stint in the Philippines. “I’ve been blessed with this group. They helped me a lot as much as I’ve helped them. Wherever I go, I thank them and my coaches for bringing much love and treat me like family,” said Ahanmisi.